"I am so happy to get the pattern and tutorial of the Secret Garden Trapunto Quilt done. Thanks to all who are patiently waiting for the pattern and tutorial to get ready. 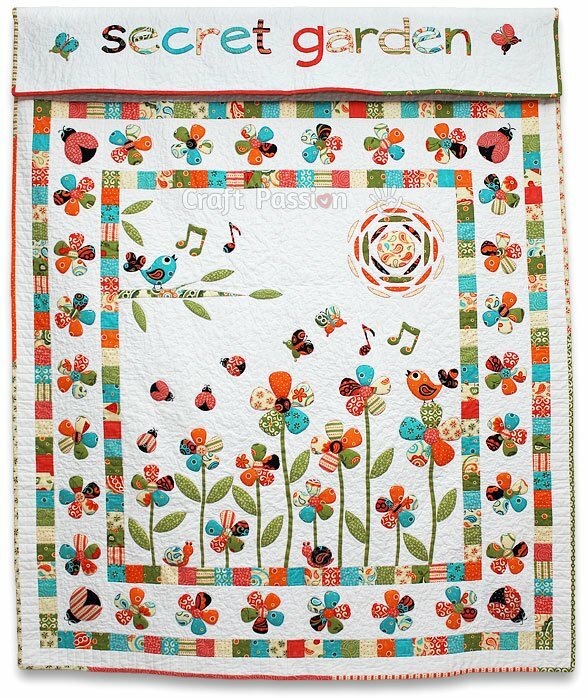 "I spent almost a year to get it up here and on my daughter’s bed, from idea to drawing, to the actual quilt then to this pattern and tutorial sharing. The reason behind this long stretch of time is because I have too many tasks on hand. I was being carried away with and lost my sense of priority. In early last year, we bought a new condominium (yes, we are moving from a landed double story house to a condo, crazy!) so that we could have a place of our own. 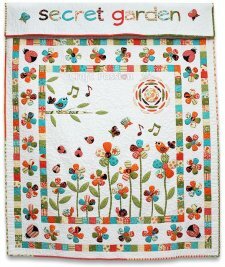 The quilting idea emerging into my mind and I told myself that I am going to make each of my kids at least a quilted blanket for their new bedrooms. 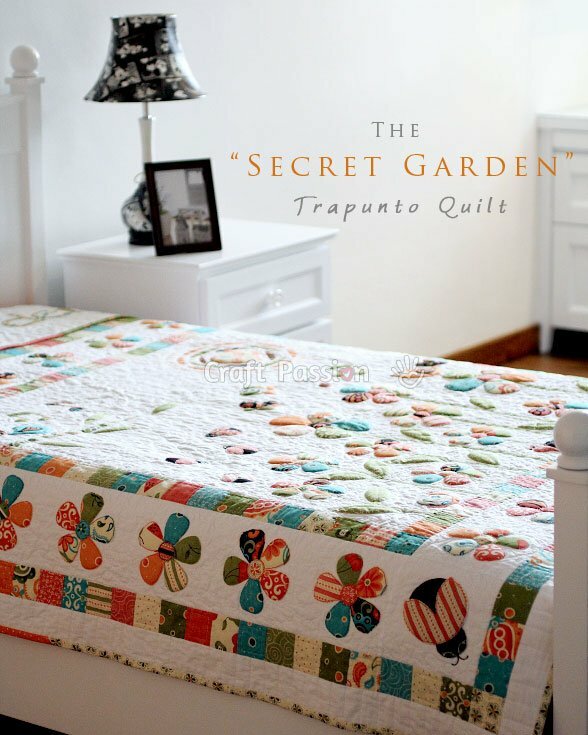 A quilt that they can remember for their whole life and perhaps can make it an heirloom piece to show the next generation “See, this is designed and made by your grandma.”… ok, may be just a photo to show if the quilt is too tattered to display…"